The Federal Reserve has reportedly nixed a plan by Wells Fargo to prevent further consumer abuses. The central bank told the lending giant that it needs a plan that includes stronger controls on management, according to a Reuters report. The Fed’s rejection of Wells Fargo’s plan likely means that the central bank will continue to impose the asset cap it placed on the lender following a parade of scandals, Reuters reported. In order to get the cap lifted, the bank must submit a plan to the Fed improving its governance and controls. In February, Wells Fargo CEO Tim Sloan said that the bank was “on the fast track” to completing such a plan, Reuters reported. Wells Fargo originally submitted its plan in April, expecting the Fed to sign off on it during the summer, but Reuters, citing people familiar with the matter, said that the central bank told Wells to go back to the drawing board. On Thursday, the bank told Reuters that it was working to address the Fed’s concerns. 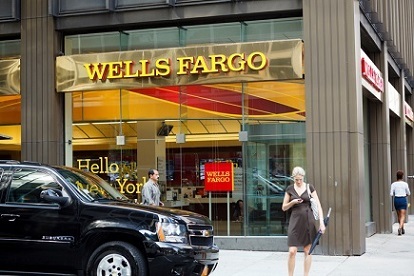 The settlement with the bank required Wells Fargo to increase board oversight, repay customers who were impacted by its abuses, and make more than 20 other improvements, according to Reuters. It also required the plan to be approved and implemented, and a third-party review completed, by Sept. 30 – a deadline that has come and gone. On Tuesday, Sloan told CNBC that he expects the cap to be lifted in the first half od 2019. Is it time for Wells Fargo's CEO to go?